Thanksgiving just passed and with it my favorite Thanksgiving-ish movies. Woody Allen’s Broadway Danny Rose is essentially a screwball comedy with mobsters, exquisitely filmed in black and white. Thanksgiving elements range from the ridiculous — a chase and shootout in the warehouse where the balloons for the Macy’s parade are stored — to the sublime — the final poignant scene between the main characters. Tangential to Thanksgiving but perennial holiday viewing in our house. 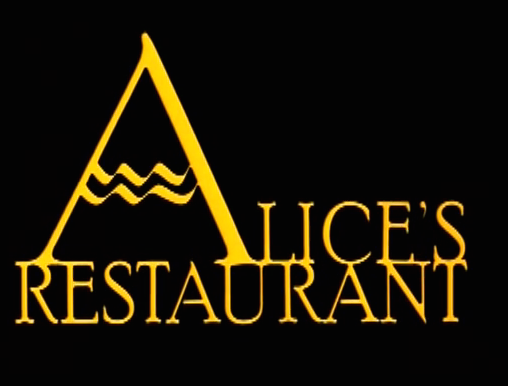 Alice’s Restaurant elaborates on the story told in the song about the sequelae of Arlo Guthrie’s decision to do a favor for a friend after Thanksgiving dinner, and ending up on the wrong side of the law. They take littering seriously in Massachusetts. Guthrie, not a professional actor but a great performer, delivers a natural and nuanced performance as himself. The film’s a mixed bag of humor, awkwardness, and death, but a charming and authentic throwback. What can I say about Stanley Kubrick’s 2001: A Space Odyssey that hasn’t been said already? Of course, this film is best appreciated on the big screen (and the bigger, the better) but there’s always DVD/Blu-ray/streaming for when you need your fix and the big screen is not an option (though you can always hold your face close to the monitor for a similar effect). Carol Reed’s The Third Man is a film that stands up well on any size screen. The story is engrossing even when you already know how it ends thanks to excellent performances by a great cast (including Orson Welles and Joseph Cotton); great script by Graham Greene; stunning cinematography; and an enchanting zither score by Anton Karas. The recent digital restoration ensures its enjoyability for many years to come. How can one not love Mystery Men with its villain Casanova Frankenstein, wonderfully overplayed by Geoffrey Rush? An absurdist’s excursion into Champion City where superhero wannabes (e.g. Mr. Furious with the super ability to become very, very angry) save their city after Captain Amazing has been dispatched. An eclectic cast (Ben Stiller, William H. Macy, Greg Kinnear, Paul Reubens, Tom Waits) makes this film a surprising and fun romp. What if Orson Wells’ War of the Worlds was a cover-up for a real event? Like Mystery Men, The Adventures of Buckaroo Banzai is also based on a comic book. Buckaroo, a physicist/neurosurgeon/rock star, must save the world from Red Lectroids who’ve set up shop at Yoyodyne Industries in Grovers Mill, N.J. John Lithgow’s over-the-top performance is to die for. Peter Weller and Ellen Barkin work with a wonderful ensemble of misfits. There’s good reason this film achieved cult status! Dec. 7, 2016 @ 8:55 p.m.
Look at how young Arlo was when we had a functioning anti-war movement.